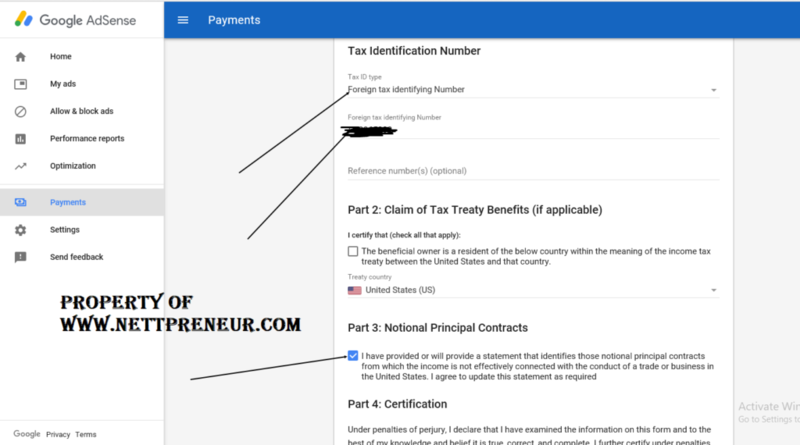 Are you a blogger in Africa or Asia, and you have been worrying yourself on “How To Submit Tax Info for USA Google Adsense Account“? 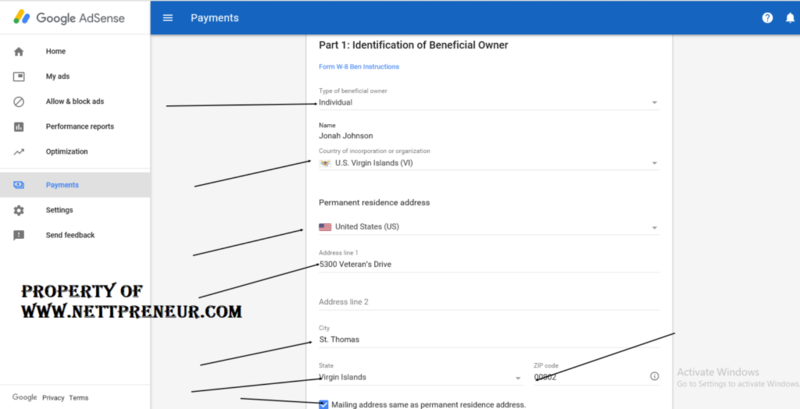 Well, this post was specifically written for you, as verifying tax info for US Google Adsense account has has never been this simple. The major reason why many bloggers from Africa make choose to apply for USA Adsense Account is because of the high approval rate, and if you eventually get a fully approved USA Google Adsense account you might have to deal with issues like PIN/Address Verification and Tax form submission. Verifying your address is not difficult, all you need is to have someone who resides in the US to help you receive your PIN at their address. 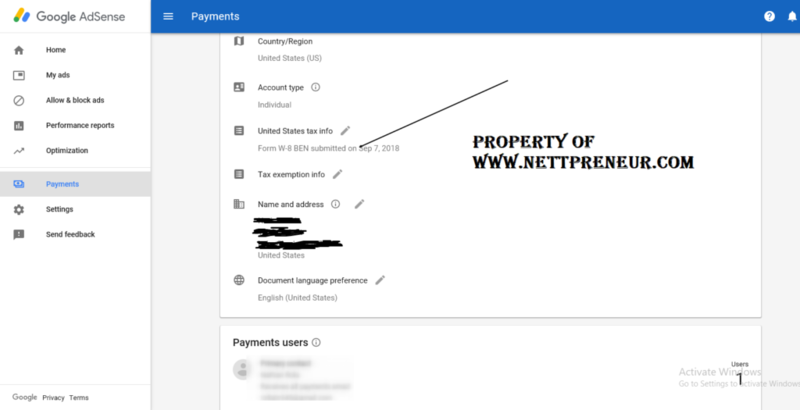 .Before you can start receiving payments on your USA Google Adsense Account, tax info submission is required, and this is the major reason why i decided to write this post because it is at this point that most african bloggers have difficulties. 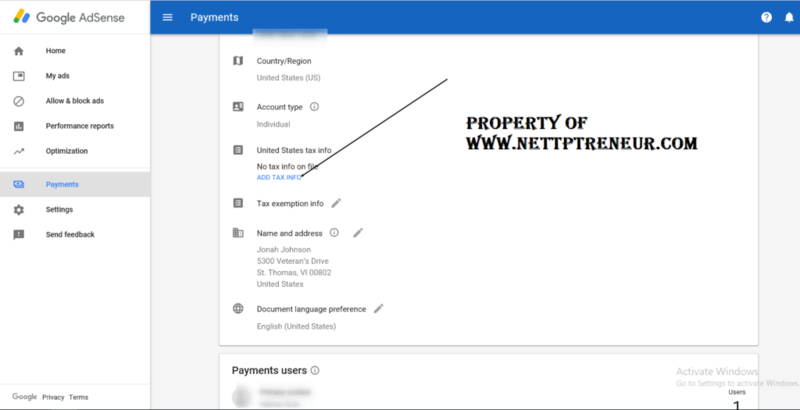 Before i proceed to show you how to submit tax info for your USA Google Adsense Account, i just want to remind you that this post is meant for those who have successfully verified their address by PIN or ID Card. If you need help with a working USA address to use for verification, feel free to Get In Touch with me for assistance. If you also need other cool ways to make money online apart from Google Adsense, don’t fail to read my latest post on How To Make Money Online With Ease. Also Read:Affiliate Marketing Vs Google Adsense: Which Works Better. 7. If you do everything accordingly, you will see something like the info shown on the image below. Hurray!!! 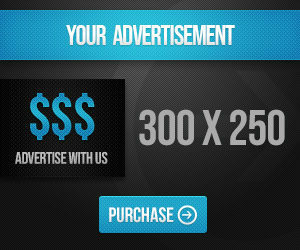 You have successfully submitted and verified your tax info for your USA Google Adsense Account. 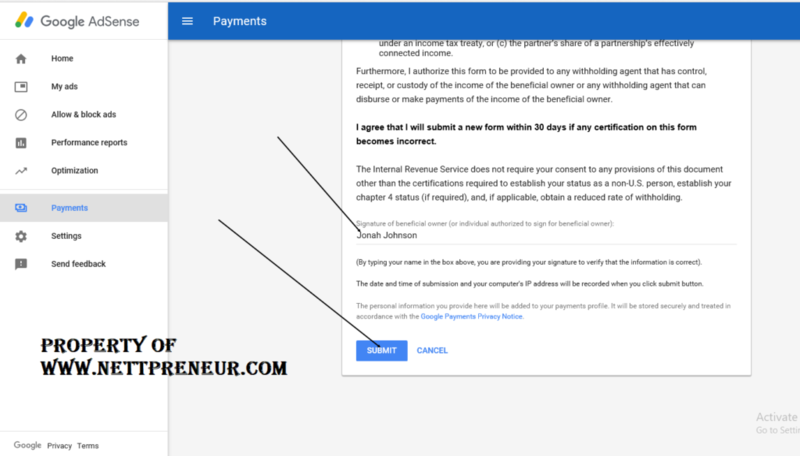 If you are facing any issues with your Google Adsense tax verification, feel free to use the comment box to get in touch with me, and i will do my best to reply your message ASAP. Remember, Caring Is Sharing and Sharing Is Caring, don’t forget to share this post with your friends on social media. How To Create a Free 3D Ebook Cover Image.